Our small batch gin starts with freshly-picked juniper berries that come from the banks of the St. Vrain River here in Lyons, Colorado. We prepare a basket holding a mix of juniper and other botanicals such as anise, clove, cinnamon, and cardamon, and suspend it in the vapor column of our custom still. As the hot vapor rises it extracts these wonderful essences. 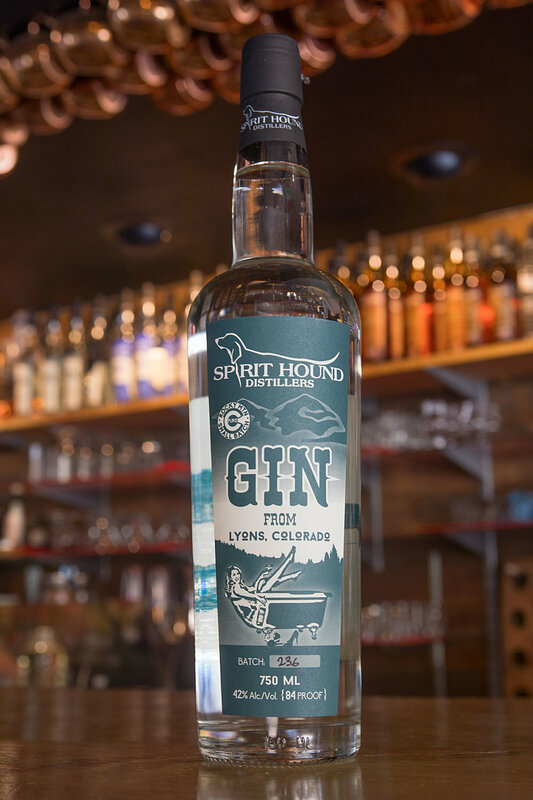 The result: a uniquely bright, fresh, clean tasting gin deserving of the Spirit Hound label. We refresh the basket of botanicals for each case of gin that comes out of the still. So we are ensuring big flavor in every bottle. Each batch is slightly different, but they are all spectacular. With the new label introduced in 2016.